Hella Gutmann Solutions (HGS) has a prominent position in the field of Advanced Driver Assist Systems (ADAS) calibration and now offers an Institute of the Motor Industry Quality Assured Programme (IMI QAP) certificated ADAS camera and radar training course, to equip workshops to handle safety system technology with complete confidence. The IMI QAP ADAS course defines ADAS and its various applications and gives delegates an understanding of the technology and sensors required to make it function. The course also covers when calibration is required, the differences between static and dynamic procedures and the consequences of incorrect calibration. The course goes through the complete procedure using its camera and sensor calibration (CSC) tool. 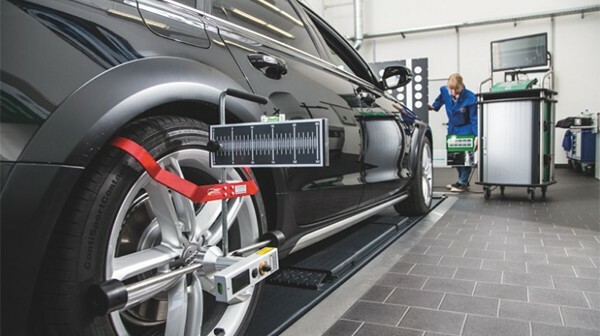 “Although the technology behind ADAS is obviously extremely complex, as long as attendees have an understanding of wheel alignment and possess basic diagnostic skills, the course is completely logical and will present them with no difficulties.” says Neil Hilton, HGS’s Head of Business Development. Courses are now running from HGS’s head office in central England and at Euro Car Parts’ training centres in Avonmouth and Sunderland.